The criterias to successfully pass the Language Examination in Prague with the International Union of Youth. In case the attendance percentage is below 80%, and the final exam results are a little below the passing border – the student will be given extra 5% on their test results. In case the student does 100% of the homework given by the teachers, but the final exam results are a little below the passing border, student will be given an extra 5% bonus to his mark. 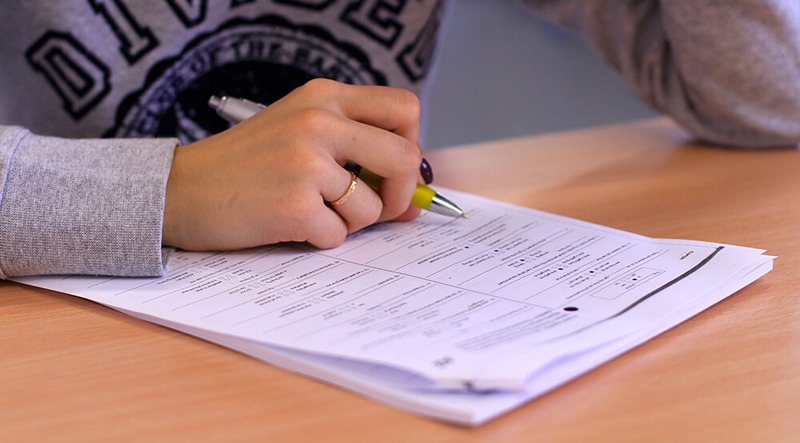 The student is to write 3 midterm exams per semester, 1 trial Czech language exam, 1 progress-test (in the middle of the course) and 1 final language exam which will determine the mark in the end of year certificate. At the end of the course the student will receive a certificate of successful completion of the Foundation Program and about the succesfull Language Examination in Prague. The mark received on the final exam will determine which language level according to SERRJ (Společný Evropský Referenční Rámec pro Jazyky – B1, B2) the student has achieved. The requirements for successful course completion are the following: active participation in class, on time completion of the given tasks together with the teacher, completion of homework, and successful completion of mini-tests throughout the course. Important notice: The study plan is always individual and depends on several things. These are: how quick you understand the taught material; homework and studies completed outside of class, and basic language understanding. See short descriptions of language levels below. One part of the course is the standard Czech language exam which determines you language level and the mark in the certificate. The exam takes place on a certain date and can not be repeated. On the exam you may not use any helping materials (such as dictionaries, laptops, notes etc). If the student does not fulfill the requirements for the exam – he will be expelled from it without a possibility to repeat it. The course is aimed at gaining the necessary language level for university studies (minimum B1). In case when B1 is achieved – students have a possibility to continue education to B2 level. End of course is marked by the final exam for B1 or B2 level. Note: If the student is willing to pass a B2 level after the end of the course – he should first prove to have mastered the B1 course before moving on to the next one. Students interested in getting B2 level may also sign up for additional seminars about B2 standards. Passing qualification tests, which will be used to put together groups of 11-12 best students. Chapters 1-5 “Chcete Mluvit česky I”. Language level of each student will be determined by a test. The course aims at reaching B1 level knowledge of Czech language. The end of course is marked by the final exam for B1 level. Students willing to achieve B2 level may also try the exam as part of the course. Certificates in Czech and English language proficiency will be given out to the students upon completion of the course requirements at the end of the academic year. certificates are given out in the study centre during the working hours within 7 working days from the exam. Exams outside the given course and dates should be discussed individually and paid separately at exam registration. The groups are put together based on the starting level of English which is determined by a test. Upon completion of the course students take a final exam. If the students complies to the following criteria, he receives certificates of successful course completion and the next English language level. If the student’s exam results are below 75%, but the attendance is above 80% – the student receives the certificate as course participant. If the student’s exam results are below 75%, but the attendance is below 80% – the student does not receive a certificate. The English language certificate is issued with the Czech language certificate at the end of the course. Note: In case the student does not meet the given criteria – he may be moved to another group or expelled. Understands common everyday phrases and words, which allows to fulfill simple needs, and knows how to use them. Knows how to introduce oneself and others, ask personal information, such as – where do you live, who do you know, what do you have, and is also able to answer such questions. Can easily communicate if the person speaks slowly. Understand sentences and common phrases in connection with everyday life (e.g. family, shops, places, where lives, where works). Can communicate in simple often repeating situations which require direct exchange of information about common things or people one knows. Can describe in a simple way one’s education, one’s closest surroundings and answer questions regarding essential needs. Generally understands information about topics one knows, found commonly at work, school, holiday or else, if the information is put in standard phrasing. Can communicate in most of situations which may happen in the country where the language is spoken. Can put together texts on topics they well know or have personal interest in. Can describe one’s impressions, events, dreams, hopes and aspirations, can state and explain one’s own opinion and plans. Understands main information from complicated texts on different topics, such as discussions of their specialization. Can communicate easily and spontaneously , which allows to regularly communicate with native speakers without much effort from both sides. Can speak in clear and detailed manner about a wide range of questions and state own opinion on certain matters, as well as benefits and flaws of different options. Understands a wide range of complicated and large texts, can find hidden meaning, Can express oneself freely and spontaneously without problems in choosing words or phrases. Can efficiently use the language for social, academic and professional purposes. Can create clear, well structured texts on complicated topics, demonstrating ability to structure information, communicate and provide source links. Understand almost everything that can hear or read. Can summarize information from various verbal and written sources, collect facts and evidence, present them in a structured manner, Can speak freely, with attention to details and intonation even in most complicated situations.